Just as parents worry about their children getting lost, they also worry about their pets, since they are a beloved member of the family. The difference is, children can talk and potentially tell someone their name, address, phone number, or other information to help them be reconnected. Pets can’t, so it’s up to you to take steps to reduce their chances of becoming lost. July is National Lost Pet Prevention Month and a great time to brush up on how to keep your pet safe. Identification. As soon as you get your pet (or even before! ), make sure you have a collar and identification tags ready. This provides basic contact information that can help someone get your pet back to you should they escape. Another wonderful idea is to get your dog microchipped. It is a simple procedure that inserts a very small microchip under the skin which contains contact information for you and information about your pet. When stray dogs are found without a collar, they are frequently checked to see if they have a microchip. There are many organizations that offer discounted or low-cost services for microchipping. Secure your home and property. Does your dog like to jump or dig? You may need to reconsider – or reinforce – your fencing to help keep your dog within the confines of your yard. Make sure your family knows to close doors securely and check to see where your pet is first so they can guard against it sneaking out when the door opens. It can also be a good idea to have fence alarms as well as home alarms. Not only does this alert you if your pet is getting out, it also notifies you if someone is coming in. Pet theft can also be a major concern, but alarms act as a deterrent. Be alert. Know where your dog or cat is. If you let them out in the yard, check in periodically, and bring them inside if you’re not going to be home. When you are out and about, make sure they are wearing a collar and leash that are appropriate for their breed and size to reduce risk of slipping out of it. Also, never leave your pet unattended at a store or restaurant while you run inside. If they can’t go with you or you don’t have a trust family member or friend to watch them, don’t bring them along or make your stop another time. Enrolling them in a training program can also help with behavior and following directions to keep them safer. Take them to doggie daycare. Are you worried about your dog being home alone all day? 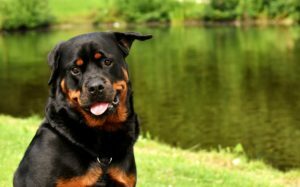 Take them to doggie daycare at a facility like Lake Wylie Pet Resort. Here you know they will be safe and well cared for, plus they’ll have the opportunity to run around outside and interact with other dogs. They won’t be cooped up in a crate or your home all day. If you’re going away for the night or on vacation, have them boarded so you know exactly where they are and that they are being taken care of. Lake Wylie Pet Resort can give you peace of mind about your pet’s safety, whereabouts, and care during the day or while you are away. Take steps to keep your pet safe and prevent them from getting lost today.